How to handle appointments for multiple resources in Schedule? In SfSchedule, you can enable resources and add appointments under it in sample level. Add appointments accordingly to the respective resources. Here, two switches are used such that appointment collection is set for each switch. 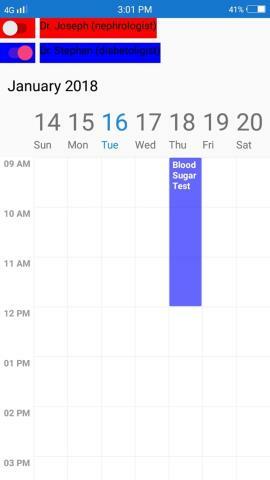 When the switch is toggled, respective schedule’s appointment is displayed in the view and when it is toggled back, appointment collection gets cleared. Thus, appointments are handled using switch in this sample. 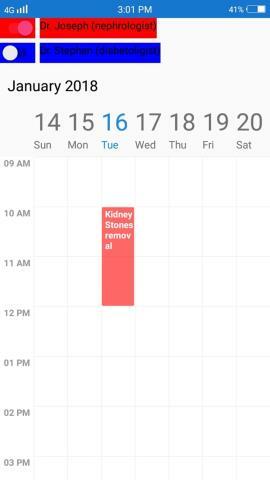 The following screenshot displays the resource with appointment in Week View.